Mmm…these are so good…they can’t possibly be this good for us. Oh, but they are! 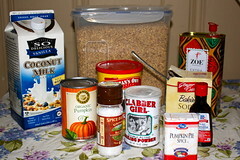 Mix dry ingredients together in a bowl, then add wet ingredients (all except raisins) and use a hand blender to mix. Mix until well blended (about 1-2 minutes). Add in raisins and fold in with a spoon. Place batter into oiled muffin pan, and bake for 20 minutes on 350. Makes about 24 muffins. 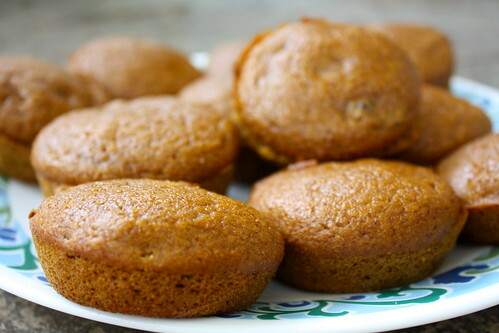 These turned out very light and fluffy, and have that nice fall flavor we all love. Use for breakfasts or a snack. Love pumpkin? Check out this and more pumpkin recipes here.